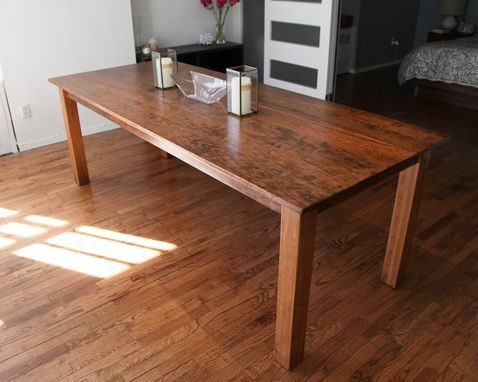 This table was created for and inspired by our friends, The Murphys, for their new loft in Brooklyn. 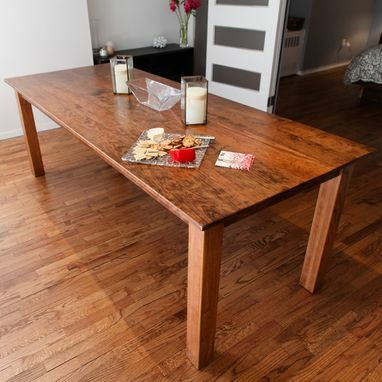 Like us, they have a simple and clean aesthetic with a rustic sensibility. 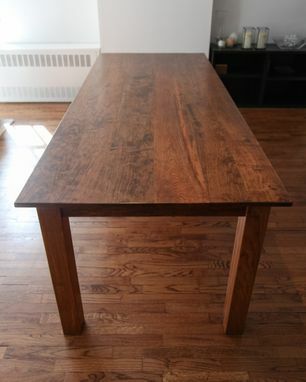 We sourced the lumber in New York and decided to use cherry finished with a walnut stain. 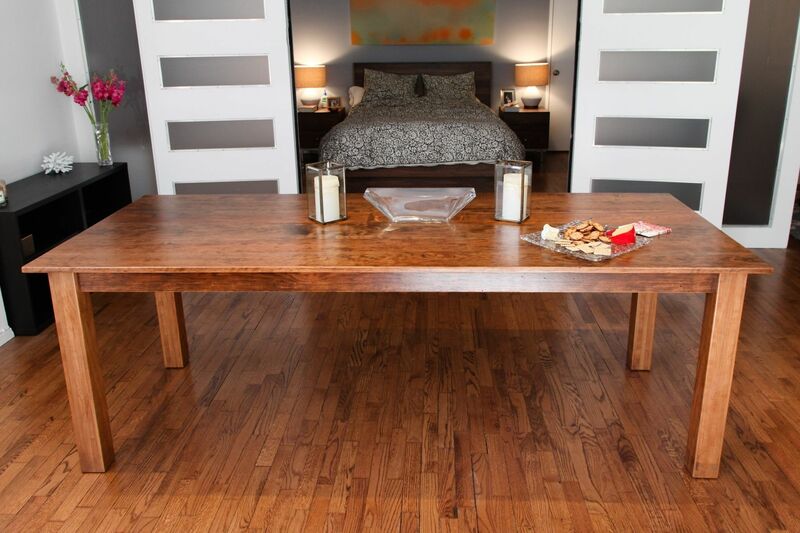 The design of the table is similar to a Parsons style, however, the legs are set slightly further in. 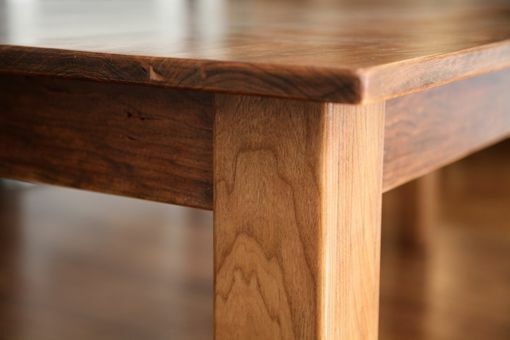 One of our favorite features of the table is that while the table appears sleek and modern, each plank is a slightly different color and there are small wormholes that were not completely sanded out purposefully to give the table character.